Aerial Views of Yankee Stadium & much more! Choose your adventure today and book your aerial tour today! After purchase, you will receive an email receipt confirming your reservation. An additional confirmation email will follow with the tour departure address as well as the contact number for your tour provider. 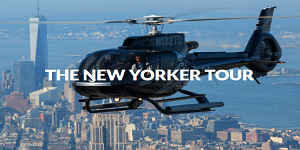 The New Yorker: All aboard for a fantastic bird’s-eye view of the magic isle of Manhattan. Experience the beauty of Central Park, the Hudson River, and the New York Harbor including the Intrepid Sea Air Space Museum. Marvel at the splendor of Rockefeller Center, the Empire State, Chrysler and Met Life buildings and the World Financial Center. 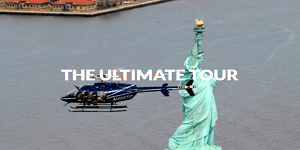 Delight in flying by the historical richness of the Statue of Liberty, Ellis Island, Greenwich Village, South Street Seaport and the over 125 year old Brooklyn Bridge. All this and more of the dramatic New York City skyline makes this tour a must for any visitor. Tour duration approximately 12-15 minutes. $249 per person. 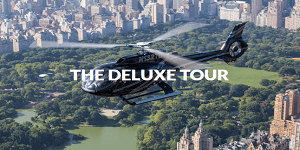 The Ultimate Tour: Seated in comfort, take in an extended flight up the Hudson River travelling all the way to the northernmost point of Manhattan. Behold the man-made miracle of the George Washington Bridge and nature’s miraculous New Jersey Palisades. From above the Hudson, landmarks such as Yankee Stadium (on non-game days), the Cathedral of St. John the Divine, Columbia University and Central Park can be seen. All the sights of the New Yorker tour plus the mentioned sights above make this tour an award winner and ranked #1. Tour duration approximately 17-20 minutes. $299 per person. The Deluxe Tour: Why not go for the best?! See New York City like never before. 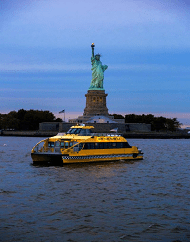 All the sights of the Ultimate Tour plus views of Brooklyn and Staten Island is New York City’s most extravagant and exhilarating sightseeing and photo opportunity. On top of the iconic Manhattan sights your client’s will fly south to the Verrazano Bridge, the longest suspension bridge in America. 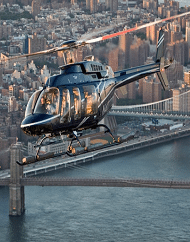 The views flying north towards Manhattan will be an everlasting memory for your clients and an amazing addition to their special trip to New York City. Tour duration approximately 25-30 minutes. $389 per person. Please note: Lower Manhattan tours do not included transfers. Guests are responsible for getting to the heliport at least 30 minutes prior to their scheduled flight departure time. 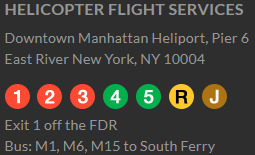 This heliport is located at Pier 6 on the East River.